Hi Standard Supermatic Citation Military with 12" Volquartsen barrel. A couple of years ago I picked up a Hi Standard Model "B", in need of a few parts and some TLC. (I will probably do a post on the Model "B" one of these days, just not today.) Anyhow, I really liked how well it shot. It was as accurate as you could ask, a great trigger, and reliable too. However, the magazines only held nine rounds, and when you were allowed ten in a pin shoot, that was a disadvantage. The main reason I started looking for a different race gun, though, was so I could mount a red dot sight on it. With lousy eyesight, a red dot is a gift from heaven! When I heard that a 5 ½" bull barreled Hi Standard was for sale locally, I went over and had a look. After a little negotiating and agreeing on a trade-in for my nearly new Smith & Wesson 9mm. Sigma, the dark maroon original Hi Standard box, and its contents, followed me home. The next day, I headed out to the range to try it out with its stock iron sights. I was almost immediately faster and more accurate than I had been with the old Model "B". The season was about over, so I competed a few times with it, and steadily showed improvement as I got more familiar with it. I found that a barrel weight helped keep it down, and got me to the next pin a little quicker. I was really starting to LIKE the gun! The Hi Standard Supermatic Citation Military has a push button barrel quick release, so changing barrels is really easy. 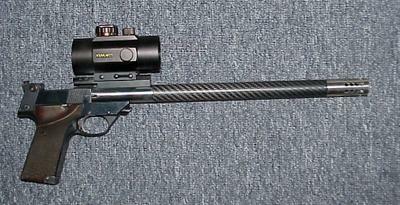 I ordered a LMP Hi Standard 5 ½" target barrel from Brownell's, along with the scope mount. A little browsing on Ebay got a Simmons 42mm. Red dot coming too. Since the scope mount bolts only to the barrel, you can sight in, swap barrels back and forth, and never need to re-zero. How cool is that!! Once all the goodies arrived, I installed the scope mount, well loctited, and mounted the red dot sight. If you've never used a red dot sight, it takes a little getting used to. It's not like a scope. The dot moves around inside the sight, and if you are used to cross-hairs that stay in the middle, this initially seems weird. Worse yet, if you aren't fairly well lined up with the sight, there's no dot at all, and you think you forgot to turn the dang thing on! Don't worry, though, as you will quickly get past this, and begin to appreciate red dot sights. Really! After a few trips to the range, and a few pin shoots, I was starting to get competitive. The guys were no longer talking about timing me with a sundial! I was even starting to take a table or so from the fast guys once in awhile. One day, while ordering some more goodies from Brownell's, the sales guy mentioned that I should have a look at the Volquartsen 12" stainless steel and carbon fiber composite barrel in their catalog. That barrel must have stayed in the back of my mind for several months before I finally ordered one. What a barrel! It's as light as a 6 ½ " inch barrel, very accurate, and with the compensator built in, the muzzle rises almost not at all. And how it shoots? Outstanding! A joy to shoot. Great trigger, out of the box. Excellent accuracy. Military angle grip, so it's more in feel like a 1911. The controls are not exactly standardized, with the slide release on the right side, but that's not a big deal. Magazine release on the front bottom of the grip is also a bit different, but it's ambidextrous, and with a little practice can be very fast to change clips. The gun is bigger and a little on the heavy side for a 22, but it's built to stand up for thousands and thousands of rounds. It feeds, chambers, and extracts flawlessly, provided you have good clips. Field-stripping couldn't be easier. Lock the slide back, push the barrel release button, lift off the barrel, release the slide and slide it forward and off the frame. Couldn't be easier. Down-sides? A good used Hi Standard is going to set you back somewhere around $600, maybe more. Is it worth it? Yes, absolutely. You pay more when you buy it, but you'll probably get all of it back when you sell it, if you've taken care of it. You really do get what you pay for. Hi Standard is back in business down in Texas, so you can get parts if you need them, paying for them is another story. You also can't always get the same answer twice from the Hi Standard folks. It depends on who you talk to, I guess. That being said, you probably won't need much in the way of parts anyway. 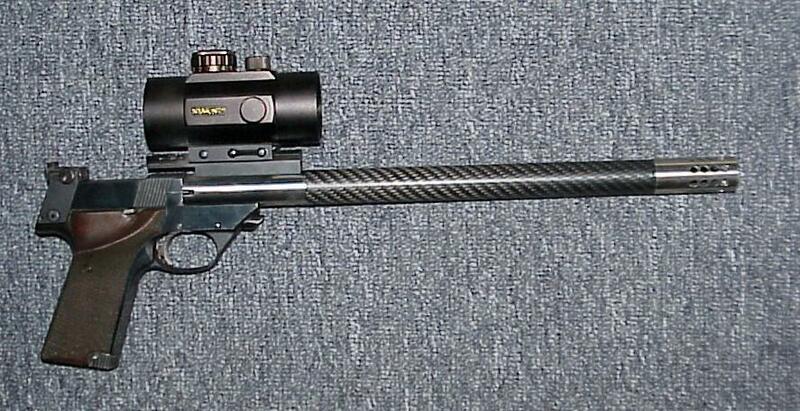 Would I recommend a Hi Standard like this for plinking, You bet. Club competition? Absolutely. National Championship level competition? Don't know, I've never been there, but Hi Standard has. Hi Standard is the only U.S. made 22 to win a gold medal in the Olympics. UPDATE: For a couple more Hi Standard pictures, click here. High Stadnard was not the only US manufactured pistol to win a gold medal in the Olympics. Smith & Wesson amd Colt pistols won Olympic Gold medals thirty to forty years earlier. My Citation is the best gun I have ever owned, and I have had guns since 1950. 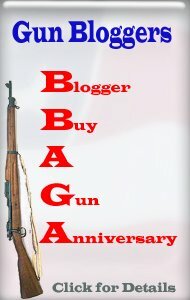 Great trigger and very accurate. Need a 7 1/4" barrel for the citation, it just looks too good. And how it shoots? Outstanding! A joy to shoot. Great trigger, out of the box. Excellent accuracy. Military angle grip, so it's more in feel like a 1911. The controls are not exactly standardized, with the slide release on the right side, but that's not a big deal. Magazine release on the front bottom of the grip is also a bit different, but it's ambidextrous, and with a little practice can be very fast to change clips. It does look like a paintball marker from Spyder, particularly the Fenix model. Mr. Completely's New pin gun?? Laughing too hard to hit anything!